Fix your black or scrambled screen by replacing the T-Con board in your Sony KDL-60EX645 LED TV. Some Sony KDL60EX645 LED TVs are having problems with their Timing Control Board. (T-Con). The small but mighty RUNTK5261TPZE T-Con board controls screen pixels as well as the signal to the digital processor in the main board. So, when the T-Con board goes, so does your picture. Symptoms of a failed T-Con board include half-faded screen, scrambled pixels along with lines and patterns on the screen. The most common problem is no video when the Sony KDL-60EX645 is turned on. The problem stems from a failure of the 8 pin eprom chip on the lower right side of the RUNTK5261TPZE T-Con board that interrupts the video signal. Fortunately installing a replacement RUNTK5261TPZE T-Con board is not difficult. Replacements boards are available for sale online for under $150. If you’re handy, then you will enjoy this challenge. Turn the Sony KDL60EX645 LED TV off. Unplug the power cord. Remove the TV from the wall, if mounted. Lay the Sony KDL-60EX645 LED TV on a flat, padded surface. 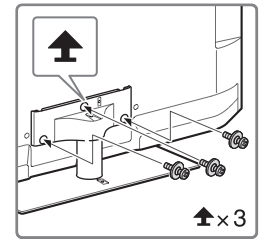 To remove the TV stand loosen the three main screws holding the stand to the TV. 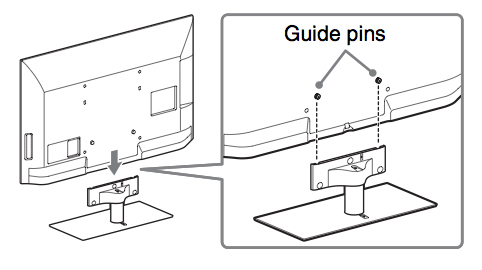 Lift up the Sony KDL60EX645 TV so the guide pins are released from the stand. Remove all the six screws holding the back panel in place. Put the screws to one side. Start along the top corner to safely pop the front bezel from the back cover, Gently work your way around the enter cover. Once the back cover and front bezel are removed, place the Sony KDL-60EX645 with screen facing down. The RUNTK5261TPZE T-Con board is located in the middle top of the Sony KDL60EX645 back panel, usually under an aluminum cover held in place by four corner screws. Take the screws out and then remove the top with foil tape at the top. You’ll see a black LVDS cable and two flat ribbon cables connecting it to the Main board. Remove the ribbon cable first. Flip up the black tabs on the connector. Gently pull the cable out taking care not the scratch the ribbon section. Never use any sharp objects to open the black tabs as this can damage the pins making the connection faulty. To remove the LVDS cable, squeeze the small tab on side. Don’t force anything apart or pull anything too hard as this can damage the connections and cause more problems. Loosen the screws holding the RUNTK5261TPZE T-Con board in place. Place it to one side. This board is considered e-waste and should be sent to a recycling facility. Do not place into regular garbage. NOTE: Be sure to put on your rubber gloves before touching the new T-Con board. Hold the RUNTK5261TPZE T-Con board by the edges and avoid touching any of the components since they are very sensitive to electrostatic charges. Verify the manufacturers number for your board. (It will be found under the bar code.) Place the new board onto the back panel. To re-install the ribbon cable: Match the line on the ribbon cable with the edge of the connector making sure the ribbon is straight. Press down on the tab to lock it into place. Re-connect the LVDS cable by putting the connector end into the RUNTK5261TPZC T-Con board until it clicks into place. Tighten the screws on the board. Replace any foil tape. Replace the RUNTK5261TPZC T-Con cover. Tighten the screws. Place the back cover back onto the Sony KDL-60EX645 TV and tighten all the screws. Re-install the stand and post. 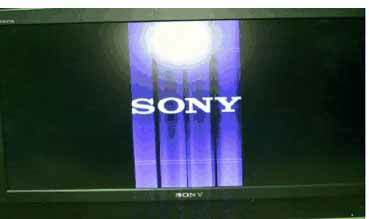 Once you turn the Sony KDL-60EX645 TV back on you may not have a picture but may see the amber light blinking and green blinking. This indicates you need to get a firmware update. (Note: Your TVs must already have an established Internet connection). Press HOME. Select Internet Browser to launch the browser. Choose Firmware. Click on the download button to activate the upgrade. Once the upgrade has been completed, turn the Sony KDL60EX645 on and then back on again. Thanks a lot for this website, today it just failed my KDL60EX645 TV, I’m electronic engineer but my regular job is industrial control. All symptoms mentioned here are same it has my TV, Because I’m in MexicoI’d like to be very sure about this failure before to buy the T CON board and install it. Can you give me some directions to test some osciloscope signals or voltage levels in board ?? I really appreciate your comments and support. Can I recommend you join our forum (http://www.fixyourdlp.com/forum/) as there is a whole community of experts who can help you with testing the board to determine if it is needing to be replaced. I’ll ask the community to keep an eye out for you so they can help you right away. Just saved me a $600 repair. Thanks a lot! Worked perfectly as described. There were a few more screws to undo and my trop was located center bottom. Also, I would recommend transferring the two gray square squishy heat resistor pads over to the new TCOP board as it will help with heat reduction going forward. I found my board for under $60 at the recommended website above shop jimmy. Glad we could help out and save you some money! Great advice and thank you for sharing. Do you know how I can install the firmware upgrade if the screen has no picture? There are instructions on how to do it with USB key. If there is no screen though there may be a problem with the chip installed or it may not have been installed properly. There is a direct chat line with that website and they may be able to help you directly. We have seen other posts about people having problems with counterfeit TCON boards. Please let us know how things are going.